Developed for everyone who works with young people; full-time, part-time or spare-time. 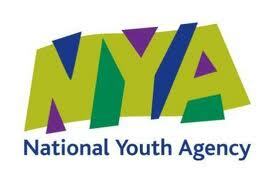 The Certificate is endorsed by the National Youth Agency for Youth Support Worker status. It can be completed by youth workers of any age from 18+. The training days fit within a gap year program and a number of agencies already run Equip as part of their year out training programmes or intern/apprenticeship schemes. Award units cover theory of youth work, safeguarding, young people’s development and communicating and engaging with young people. Certificate units cover group work, challenging behaviour, faith and community values and reflective practice. In addition learners must plan, deliver and evaluation a 6 session programme with young people. This is a way of extending knowledge gained by completing the Award and Certificate. 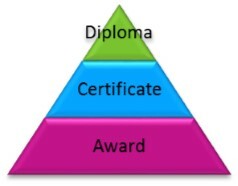 It is possible for learners to complete the Diploma without first completing the Award and Certificate but learners will only be awarded credits for their work and will need to provide evidence of extensive youth work experience and/or a youth work qualification. The Diploma is designed for youth workers who wish to develop their skills in Mentoring and running Trips and Residentials. The Award must be completed in order to move onto the Certificate and the Certificate must be completed in order to complete the Diploma. Learners are able to complete the Certificate and Diploma units but will only be awarded credits. How much time will our learners need to spend on Equip for youth? The majority of the work will be completed within one year, however some learners will need 18 months. All work must be completed within 2 years. All the training days and assignments can be completed within one academic year. Mixture of distance learning and interactive teaching in sessions led by the tutor, face-to-face and online. Flexible training days. There is material for at least 6 training days or sessions to suit the agency. 9 Learning Units- 4 Units for the Award, 5 Units for the Certificate. Tutor folder with notes and outline. myCYM – virtual learning environment – online classroom. Again, this is a mix of distance learning and interactive teaching in sessions led by the tutor face-to-face and online. Flexible training days – material for at least 2 training days or sessions to suit the agency. 2 training days spread out across one year. The course costs the learner £750. This covers all the tutor/assessor materials, folder, registrations with NOCN, certification, Awards Ceremony and VLE. The course costs £350.This covers all the tutor/assessor materials, folder, registrations with NOCN, certification, Awards Ceremony and VLE. A placement – where they are able to undertake practical youth work. A Line Manager – who should be qualified to supervise their youth work, support their learning and write a report about their youth work. A Mentor – who will meet with them to discuss and challenge their learning. Access to a computer is required. There are a number of individual Units that can be used as CPD or ‘bite-sized’ training. These can be developed by CYM Endorsed Centres and made available to Hub agencies. Units include: Detached Youth Work, Supporting Young People with Mental Health Needs, Trips and Residentials, and Mentoring. Want to deliver Equip with CYM?